eCompetency, the “meet and confer” on electronically stored information, the new California Privacy Act (CCPA) and responding to data breaches are some of the topics that will be covered. A focus on technical subjects like cyber security, project management and aspects of the EDRM at classes. Adobe Acrobat is probably one of the most crucial tools for any efficient law office. In fact, with more and more courts moving to eFiling, it is rapidly becoming almost indispensable. Despite the reliable, space-saving, and userfriendly qualities of Acrobat, however, many legal professionals aren’t using Acrobat to its full potential. Attend this presentation to learn tips for bates stamping, properly redacting documents, and other useful topics. Speakers: Dori Dumon, Assistant Professors, Business Applications and Technology, SAC; Debbie Murphy, CCLS. Technological developments have made it necessary for law firms to collect and store personal information electronically, creating new exposure and liability. A discussion of post breach remedial actions for cybersecurity breaches. An opportunity to learn and plan your response before the inevitable occurs. Learn here to be more productive with Microsoft Excel with these tips and tricks. Take the data in your spreadsheet to the next level. Speakers: Adam Morgan, Assistant Professors, Business Applications and Technology, SAC; Debbie Murphy, CCLS. Taking the time to create a detailed plan in preparation for the meet-and-confer is one of the most impactful things you can do to save your clients time and money. Not only does it make eDiscovery more efficient, it can also help reduce discovery disputes and get parties to the litigation’s most relevant information faster. Processing metadata, textual content, native files and/or images can be done in a way to save you money. What are the tricks to exporting ESI into a consistent, delimited format for the eventual loading into a document review platform or database? We will discuss strategies, vendors, and programs to do this important step well. Speakers: Christi McGowan, Director of Operations, Sift Discovery, LLC. ; Joy Murao, Founder, CEO, Practice Aligned Resources. 11:30 a.m. – 12:30 p.m. | Track 2: What is the California Consumer Privacy Act (CCPA)? An opportunity to discuss compliance with California, US, and international regulations relating to cybersecurity and data privacy, including forthcoming California Consumer Privacy Act (CCPA). A discussion on how to build the technical environment for legal teams to present their case. Shannon’s expertise will help the practitioner maximize decision maker understanding and minimize downtime and security risk. No law firm or business is too small to ignore cybersecurity risks, whether from external sources such as hackers, or internal ones, such as employees who click on phishing or malware emails that appear to be genuine. Learn best practices for data privacy and network security compliance, and compliance with state and federal regulations. Speakers: Kari Barnes, Esq., Shareholder at Buchalter; Dan Smith, CISSP, System Engineer, Palo Alto Networks. Emerging roles within the law office include more technology focused non-lawyer staff. How does the law office adapt so that attorneys maintain ethical, profitable, and client centered practices while the amounts of ESI, applications, and security concerns are increasing? We will discuss some solutions. An attorney’s obligations under the ethical duty of competence evolve as new technologies develop and become integrated with the practice of law. Learn and stay up to date in this area of ethical law practice during this informative session. We’ve provided a printable brochure for your convenience. You can register online HERE. Student attendees: Please use this free registration link. Or fill out the registration form and email to ProgramRegistrations@CAlawyers.org. In order to email your registration, credit card information is MANDATORY. 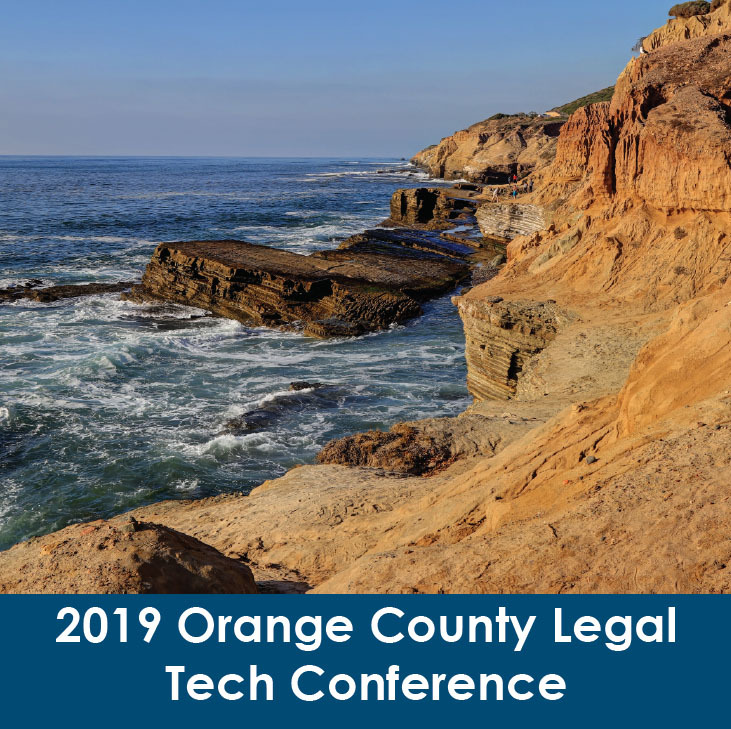 In order to pre-register, please send the registration form and check, payable to California Lawyers Association, or credit card information, must be received by April 26, 2019. On-site registration will be on a space available basis. Call to confirm space availability. Registrants will receive a USB storage device with an electronic version of all program materials the day of the conference. Before the Conference, Registrants will receive a link with information on how to review and download the program materials. It may be helpful to review a program’s reference material before the class. This website is not available to the public, and access is given only to Conference registrants. Late-breaking supplemental materials not available before the Conference will be added at a later date. For special assistance please call 916-516-1749. For registration information please call 916-516-1757. For information regarding the program please call 916-516-1749. This event may be recorded. By attending this event, you consent to be photographed, filmed, and/or otherwise recorded, and to any use, by the CLA, of your likeness, voice, and name in any and all media including social media. If you do not want your name or photo to be used, please let us know in advance. We cannot, however, honor requests to opt out of the use of your image or voice if you choose to ask a question during one of the event sessions.